While this often-quoted statement, attributed to early 20th century American merchant and politician John Wanamaker, was originally about advertising, it applies to security too. Despite significant spend from organisations on security technology, security breaches are still a daily occurrence and all too often the result of a known threat and vulnerability that should have been fixed. 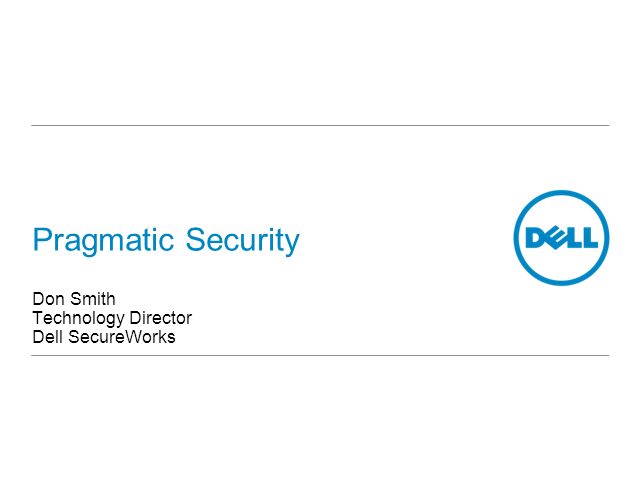 Don Smith, VP of Engineering and Technology at Dell SecureWorks, will describe why new threat actors have changed this landscape adding significant complexity and entropy to the life of the security professional. Don will then present a bold view of the current state of information security and propose a refreshing, pragmatic approach for improving the security stance of your organisation.